If you haven’t heard of Canva by now, it’s one of the world’s fastest growing online graphic design and photo editing companies. Based out of Australia, Canva is a popular website used by millions of entrepreneurs to help create social media graphics, print images and more all easily and with no graphic design experience. And did we mention it was free? No wonder it’s so popular! And the the person responsible for the idea and running the company is a 20-something girl with huge drive and passion. Read on to learn more about Canva, how the idea came about and what’s next for the business. What gave you the entrepreneurial spirit at such a young age? The Canva journey started back in 2007, while I was studying at the University of Western Australia. 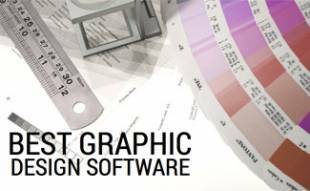 At the time I was teaching students how to use programs like InDesign and Photoshop. Students found the programs hard to learn, and harder to use. I imagined the future of design would be entirely different. It would be online, collaborative and very simple. It was the strength of that vision that enabled us to keep going. I first had the idea when building the product of our dreams was not even a remote possibility. My co-founder and I were university students. We had no money. We had no engineering or business experience. We did not even know what a ‘startup’ was, let alone know anyone who was in one. We just had a problem that we wanted to solve and an absurd amount of determination. From concept to launch, what was the process to bring the product to market? For the first few years after my idea for Canva, we worked on building our first startup, Fusion Books. This tested the idea for Canva in the niche market of school yearbooks. Once we had built that and proved the idea in that small market, we decided to get started on Canva. To launch Canva we needed some initial investment and a tech team. It took two years to raise the first $3 million and find the right engineers to get started. Starting a business, especially one with crazy big plans, always involves overcoming resistance. 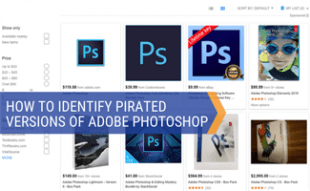 I received hundreds of rejections from potential team members and investors as I was raising the capital and finding the tech talent to turn my sketched out products into a software. But I focused on the things I could change and kept revising our plans and pitch deck until it was strong enough to find the right partners. 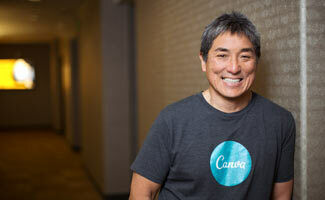 How has Canva managed such rapid growth? Our key focus has always been on building a product that solves a real problem. That’s by far been the biggest driver of our growth. Once someone has used Canva, they help to spread the word. We have had an incredible number of tweets and blog posts from people who say how much they enjoy using Canva, which is very encouraging. It’s been phenomenal to see people holding their own workshops, starting their own Facebook groups and even creating their own paid courses on Canva. We launched Canva a three years ago and now have more than 10 million users, who create four designs every second. Tell us about your investors? We’ve been able to partner with great investors (like Guy Kawasaki and Owen Wilson) by solving a real problem and building a rapidly growing business. Canva make look fairly well developed from the outside but we’ve only done 1% of what we plan to. What’s it like running a fast-growing company while also living the life of a 20-something? Building Canva is my dream job, I can not imagine a better one. It’s a lot of work but it’s worth it. To relax I like to do yoga, and my partner and cofounder Cliff and I go walking a lot. These walks tend to turn into strategy sessions but that’s good also! I really enjoy doing yoga, and going for walks with my partner and cofounder Cliff. We love walking around Sydney, it’s such a beautiful city. Sometimes these walks also turn into mini-strategy sessions, but it’s always relaxing and helps me think. From the outside, Canva make look fairly well developed but we’ve only done 1% of what we plan to. More than 10 million people user Canva, which sounds like a lot but it’s only 0.03% of the internet using population. We are only just getting started and have a lot planned. 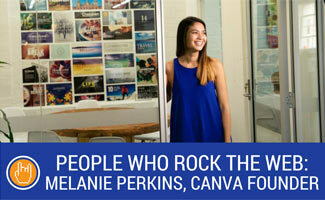 Watch the 3-4 minute video to get to know Melanie better and a behind the scenes look at Canva’s offices. Thanks Melanie for taking the time to chat with us! I really like Canva and really enjoyed hearing a few words on how it all began. Cheers. I agree with you Fanny, LOVE Canva and love it even more now knowing it was founded by such a great girl!